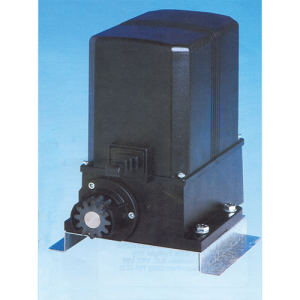 Cardin SL1524 sliding gate motor, 220V supply, 24V motor, uses 2of # SLA 12-4.5 batteries. Max gate leaf 1500 kg. A “complete machine” which contains all the electronic and mechanical components required to manage gate positioning and the safety functions of the installation. Powerful and tireless, controlled by state of the art electronics, SL1524 is fitted with a powerful direct current motor backed up by a finely tuned double gear kinematic system which reduces the stress on the motor and structure caused by the movement of heavy gates. 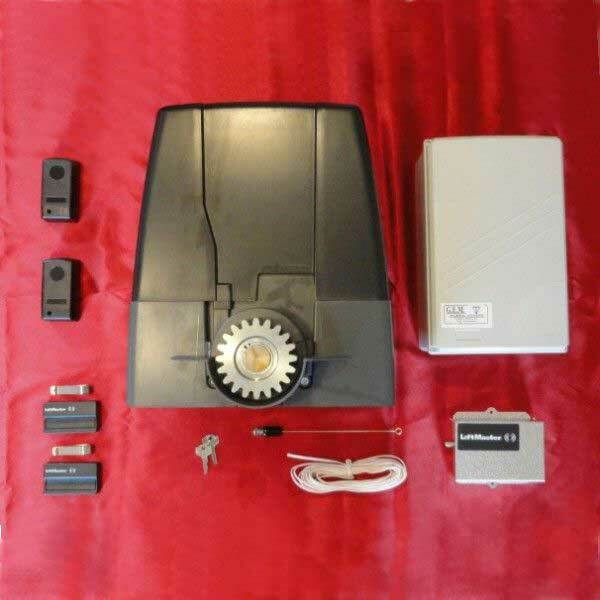 The automation is furnished both with buffer batteries, which allow the gate to be moved during blackouts, and with a safe and reliable manual maneuvering system with a personalized key. An internal framework houses the completely integrated electronics and keeps them separated: electronics card with an incorporated battery charger and radio receiver card, toroidal transformer and buffer batteries. The electronic and mechanical components are protected by a robust shock-proof carter which makes the automation system rust free and safe from the buildup of soil and mud. Electromechanical self-locking unit driven by a low voltage motor which is suitable for sliding gates of up to 1500 kg. The unit may be fitted both to the right as well as to the left of the passageway. Installation is possible on any structure and is simplified by the motor alignment system and the spacious access area for wiring up the electrical components and adjusting the mechanical parts. Encoder controlled gate positioning with self-learning programming reduces installation times to a minimum. Re-positioning intervenes automatically whenever obstacles get in the way of the gate’s course. The control carried out by the programmer is completed by the anti-crush security device and the “soft stop” and “soft start” functions. The Electronic controller also features real time display of the programming stages as well as counting the number of maneuvers carried out by the motor. Parameter setting is carried out via dip-switches. Note package does not include wheels or rollers or track, see Components & Accessories section.